News is an integral part of daily life. When a significant event happens everyone knows about it in a remarkably short space of time. This is partly because newspapers have become news brands and the increase in mobile technology has also made it incredibly easy to catch up with the news. What sources of news can you think of? 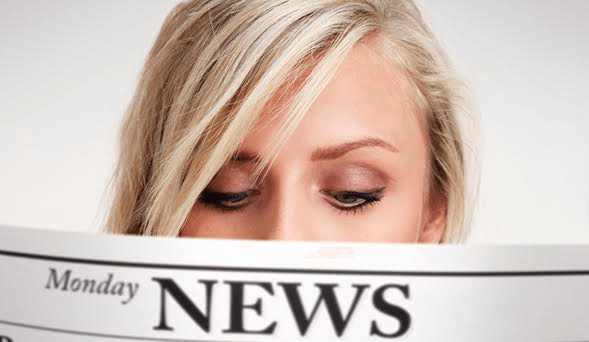 Print newspapers, TV news programmes, rolling news programmes, radio news broadcasts, newspaper websites, news apps, news alerts direct to your phone, Twitter - what’s trending, Facebook news feeds, Buzzfeed. The way news reaches an audience is changing. Over the past decade, print newspapers have been losing readership and revenue. However, that does not mean the end of news and journalism. In fact, news is much more available, efficient and innovative but as a business it is smaller and less profitable and this change has been driven by digital technology. We no longer have to wait for scheduled news bulletins or programmes. In the digital age, news is becoming personalised, and is available on demand as and when we want it. Explain how news is becoming personalised for audiences. You can sign up to receive news alerts on your mobile phone/laptop/desktop. You can get football results and stock market figures sent directly to your mobile. News apps on your mobile mean you can get breaking news about your chosen topics direct to your phone. Facebook news pages you have liked show up in your feed and the more you like them, the more you see them. Twitter allows users to use hashtags to follow certain news stories. Newspaper circulation is decreasing as more and more people get their news electronically. To stay current, all print newspapers now have online sites which continue their brand identity. Such sites can offer more up-to-date news and feel fresher, and by maintaining the newspaper logo and journalistic style, readers will often maintain their brand allegiance. However, online editions are costly to run and deliver less profit than print editions. How could newspapers create revenue from their online editions?